The cover art has arrived for a new anthology from World Weaver Press, Fae, to be released on July 22nd, 2014. Pixies, phookas, hobs and selkies are just a few of the inhuman faces you’ll meet in the wild fairy procession that is Fae. Want a taste of what’s inside? Below the image are two excerpts, one from my own short story in the collection, Solomon’s Friend. I’m one of the rare half-breed freaks myself, though not of the type to get an OMG!!!! photo on the internet. No, I’m lucky enough to pass on a human street – which conversely means I’m pretty unlucky on what passes for a street in the Twilight Lands. So I tend to spend most of my time here. Exactly here, in fact. This is a good place for us. What, you don’t think of Indianapolis as being a particularly supernatural city? That just means we’re keeping under the radar. I know, New Orleans and Chicago and places get all the arcane press, but think for a second. Indianapolis has two affectionate sobriquets: “the Crossroads of America,” for its prominent location on first the National Road and later several interstates, and “the CircleCity,” for its efficient, nearly ritual, circle and grid layout. Crossroads and circles, people, right in the advertising. If you can’t find the Fae in that, I can’t help you. Tell you the truth, I didn’t feel much of a need to make myself scarce when I saw what I saw in Solomon’s eyes. He’s a special one, that little guy. Call it a syndrome or part of a spectrum or whatever you will, but there’s another facet to his innocence; a kind of clarity of mind you humans don’t often have. And it was obvious right away, just in the way he looked at me, like there was nothing in the world to be surprised about, finding a hairy little dude inside his geode. Truth be told, I knew I’d been sent here for a reason, and the moment he split my world open, I was faithfully his. That being said, I should probably get a few things off my overgrown chest here and now, because you’re a wonderful mamacita and all, but you’ve got some things wrong about your kid. Like when Solly seems to assign life to every day objects. That’s actually my fault (mostly). Remember that time he propped his dirty sock up on the end table and said it was “watching him” play Mario? 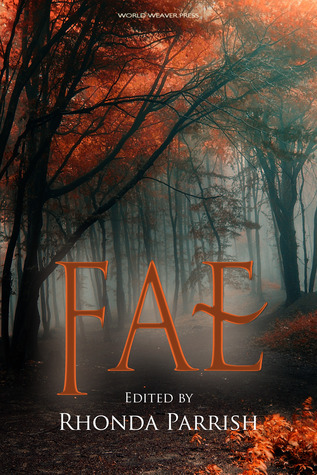 Don’t forget to enter the Goodreads giveaway to win your own copy of Fae (ending June 19th) and add Fae to your Goodreads to-read list today! Giveaway ends June 19, 2014.